Forsaken looks to be the biggest DLC release in the Destiny franchise to date. 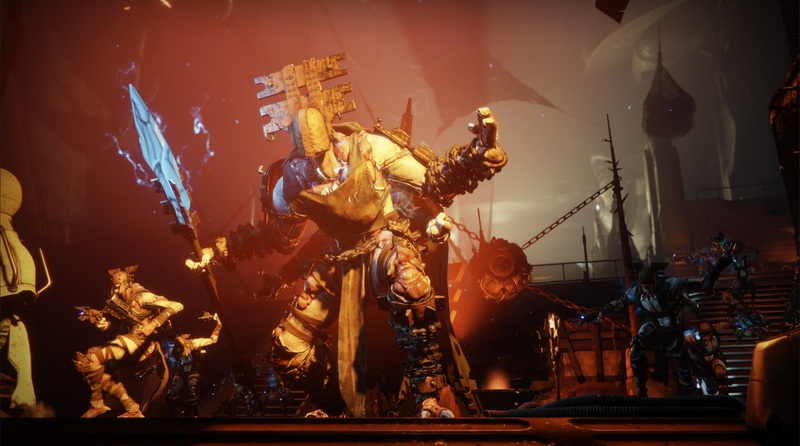 Destiny 2’s Forsaken DLC comes a week after of Destiny 2’s free 2.0.0.1 update, featuring a weapon system and gameplay overhaul that brings Destiny 2 closer to the allure of the first Destiny’s gameplay. On top of that groundwork, Forsaken brings a chunk of new content, including new weapons, class abilities, more regions to explore, and of course the new gameplay mode, Gambit. 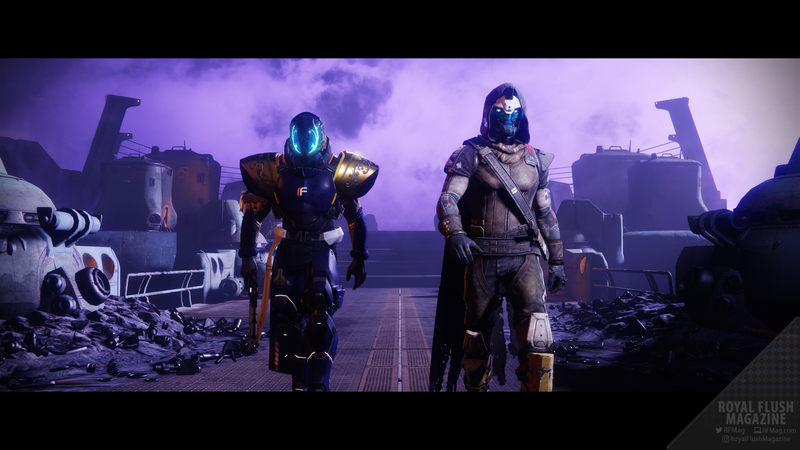 Is this the new renaissance to reinvigorate Destiny 2 for players both old and new? Let’s dive in. The story of Destiny 2: Forsaken starts off with the franchise’s biggest shocker to date, the death of one of the game’s most popular characters, Cayde-6. Petra Venj, from the first Destiny’s House of Wolves and Taken King DLC expansion packs, makes her return as she asks for Cayde’s help to deal with some trouble at the Prison of Elders. Cayde takes you along for the ride, as it seems like just any other mission. However, the situation quickly and unexpectedly escalates, leading to Cayde-6’s death at the hand of Uldren Sov. Uldren Sov, prince of the Awoken and brother to the presumed deceased queen, Mara Sov, is the cause of the uprising at the prison. He organizes and leads the Barons, eight bosses of the game’s newly-introduced enemy race/faction: the Scorn. It is with the Barons that Uldren is able to overwhelm Cayde-6, allowing for their escape from the prison. As act of vengeance, justice, or both, you set out to hunt Uldren Sov and his Barons in the new explorable area space: the Tangled Shore. As far as presentation of the story goes, the Forsaken DLC does a fine job. Voice acting is solid and spot-on with the now-somber atmosphere. Cayde-6, who was mostly voiced by Nathan Fillion is this time voiced by Nolan North, due to issues with Fillion’s availability for the project. Even then, North does a fine and very believable job carrying the character’s general witty and cavalier outlook. You feel the sorry and anger in the supporting characters, who help drive home this atmosphere of both justice and vengeance. The Tangled Shore maintains a fitting outlook as an uprooted and ravaged area, where all of the escaped prisoners roam about in a constant battle with one another. New characters are well-established and help drive the story home effectively. The Barons taunt you as you hunt them down in the prospective missions, giving you that whole “come and get me” tone that you would expect of Cayde-6’s killers. You meet the Spider, head of a Fallen house, who looks to regain control of the Tangled Shore from the escapees with your help. His desire to regain power makes sense, leading you to “deal with the devil” so that you can catch your targets. 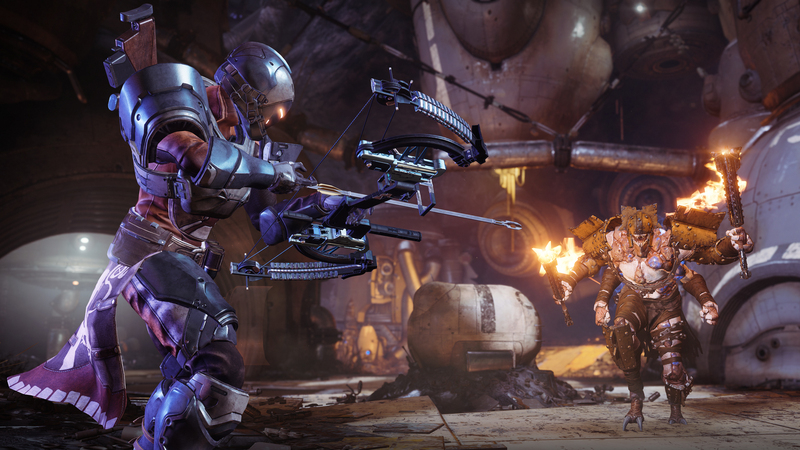 Forsaken gives you a VERY hefty amount of PVE content to keep you busy for days on end. Finishing up on the story, I personally enjoyed the majority of the boss fights, whose setups and layouts were original and varied. You definitely did not feel like you were simply fighting the same bigger Scorn enemies eight times over. The game’s ending was quite satisfying as were the additional pieces left for you to pick up now that Cayde-6 is gone. After which, Forsaken drops in yet another new playable area along with the Tangled Shore, called the Dreaming City. The Dreaming City is the homeland of the Awoken, which through events of Forsaken’s story, is now granting access to the Tower’s guardians. Like the Tangled Shore, the Dreaming City has its own set of new public events, lost sectors, collectables, and bounties to complete. The Dreaming City also houses the game’s new player-triggered public event, the Blind Well, as well as the DLC’s end-game raid, the Last Wish. Forsaken, on top of that free 2.0.0.1 update, gives you a flavor of robust content that many players remembered and clamored for from the first Destiny title. Combine the amount of new content and events that the new playable areas give you with a new wave of daily, weekly, and vendor specific tasks, and you will be overflowing with grind options for weeks. Light-raising options are more plentiful than they ever have been before, giving you a reason to come back to the game every day. Having two more playable areas helps to keep grinding content more varied, which combats the tedium of fighting the same fights repeatedly. As for that 2.0.0.1 update, the weapon system’s overhaul plays a huge part in Forsaken’s overall fun factor. Going back to the first Destiny’s roots, this update impacted three key mechanical points. First, the time-to-kill in PVP has been reduced, allowing for faster gameplay and increased satisfaction in weapon usage. Second, the tier of weapons were re-assessed, allowing for wider variation amongst weapon loadouts. Thirdly, randomized perks in weapon and armor drops have made a return. A common complaint amongst Destiny 2 PVP players was that the time-to-kill simply took too long. So that change was direct and self-explanatory. For the weapon tiers, not only can shotguns and snipers now be used in both kinetic and energy weapon tiers but you also get the addition of the new weapon type: the bow. Also, infusing weapons can now occur within weapon tiers instead having to be within weapon types. For example, no longer will you have to find a higher-light hand cannon just to empower your favorite hand cannon. This allows you to boost up your favorite weapons faster than ever before since Destiny 2’s launch. In regards to weapon and armor perks, “meta” weapons were all too prevalent in PVP, seeing how the community simply used whatever static weapons were the best during that time. This left little room for variation in play style amongst competitors. Now the “wild west” of weapon systems that was in the first Destiny is back, allowing for a much wider variety of items to both hunt for and use. This alone encourages players to re-do activities, even if there was no avenue for increasing their light, all in hopes of finding their dream item.